The rapid evolution of diverse end-user clients and applications has given rise to a dizzying array of digital channels to support. Websites in the past were built from monolithic architectures utilizing web content management solutions that deliver content through a templating solution tightly “coupled” with the content management system on the back-end. Agile organizations crave flexibility, and strive to manage structured content across different presentation layers consistently in a way that’s scalable. Accomplishing this efficiently requires that teams have flexibility in the front-end frameworks that dominate the modern digital landscape. 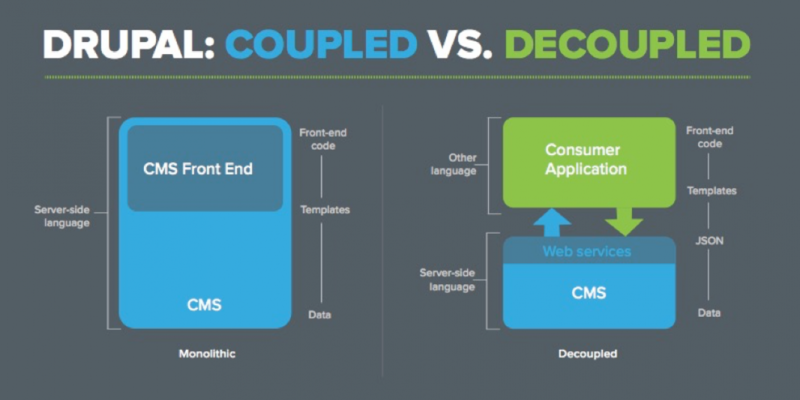 That’s why decoupled and headless CMS is taking off. That’s why you’re here. But now you need the right technology to support the next phase of the web and beyond. Awesome Article, really enjoyed it! Docker is an open platform for developers and system administrators to build, ship and run distributed applications.